This home in Bonnievale was built in 1930, probably making it one of the oldest properties in town. 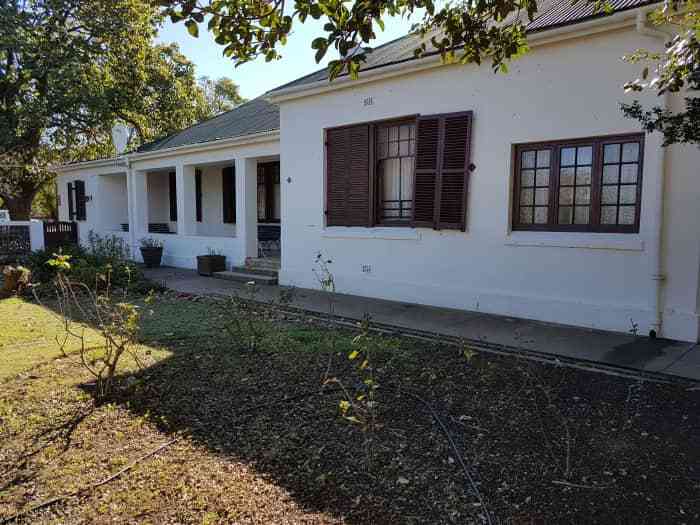 It is currently on the market for R3.7 million through Seeff. New developments, expansion of big employers and economic growth are all predicted for the small town of Bonnievale in the next few years. Neil Rademeyer, an agent with Seeff, says although Bonnievale is a relatively young town it has gone from strength to strength in the past 97 years and is now the Western Cape’s biggest manufacturer and exporter of products like cheese, citrus, wine and fruit and was recently voted by Die Burger as the best town in the Western Cape. The town also made headlines when it assisted Beaufort West with its water shortage in 2012. 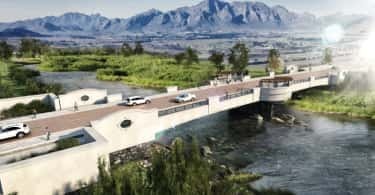 “Bonnievale has experienced an influx of people from all over the country in recent years, but especially from the Cape due to the ample employment opportunities that exist here”. Apart from the largest diary factory in the Southern Hemisphere that is owned by Parmalat in Bonnievale, conditions in the agricultural sector are also very favourable and offer enough water, fertile soil and a good climate to farmers. A technical high school that will be named Jakes Gerwel is currently being built in Bonnievale and the two government schools were also recently expanded to accommodate the increasing number of school going children coming to this town. “On the agricultural side the industry is continuously experiencing a high influx of citrus plantings that creates many jobs and opportunities”. 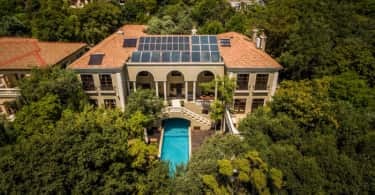 Rademeyer continues that the average price of a family home in Bonnievale on a big stand offering three bedrooms and a double garage costs around R1.450 million at the moment, but house prices are growing with between 6 and 8 % annually. “This amount is expected to grow even more with current development in mind and astute buyers are realising the value of investing in property sooner rather than later”. “In general buyers in Bonnievale are younger than before and are earning good salaries. In addition to the good job opportunities the area offers, the hospitality industry and especially guest houses in town are also flourishing because of the wine routes, activities and scenery the area offers to visitors”.